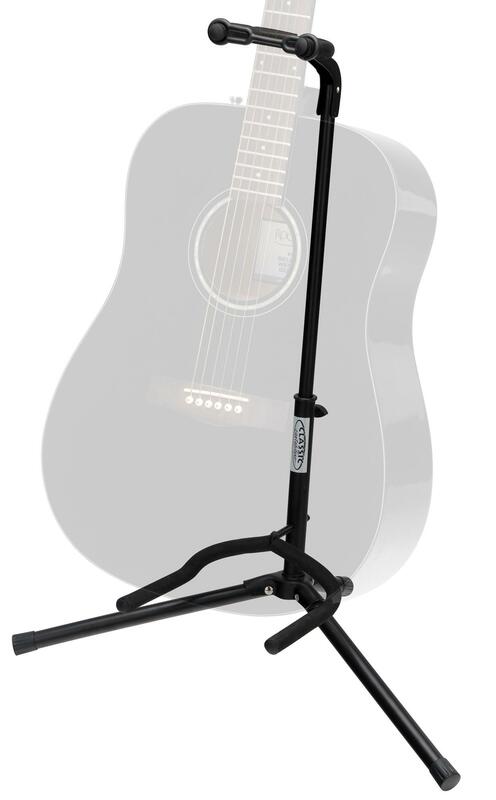 This stand fits any guitar – acoustic, classical or electric. 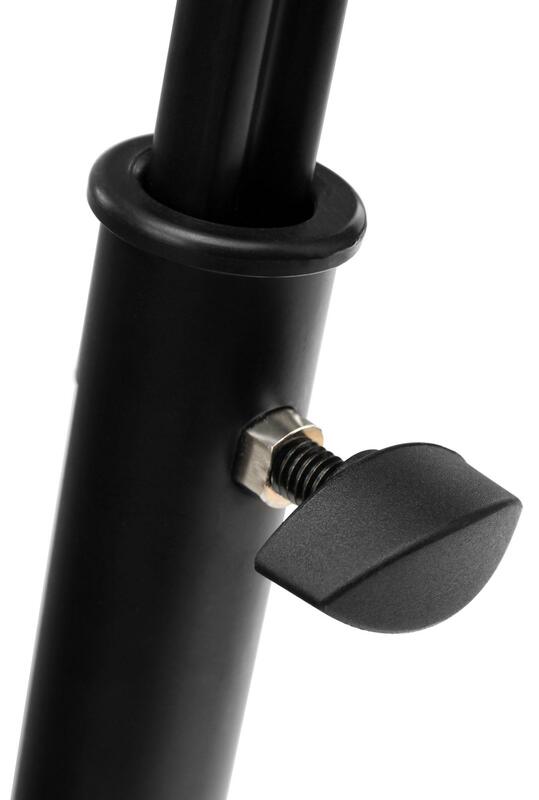 It also works great for acoustic or electric basses or banjos. 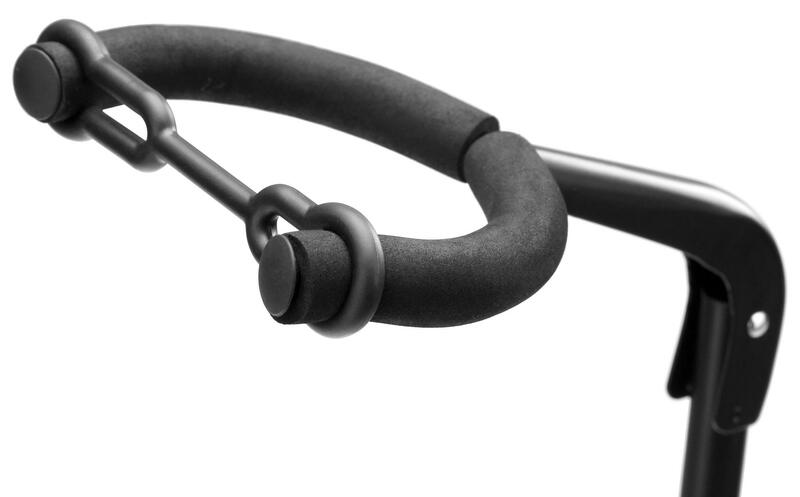 This universal guitar stand is the ideal companion for the stage, practice room or at home. 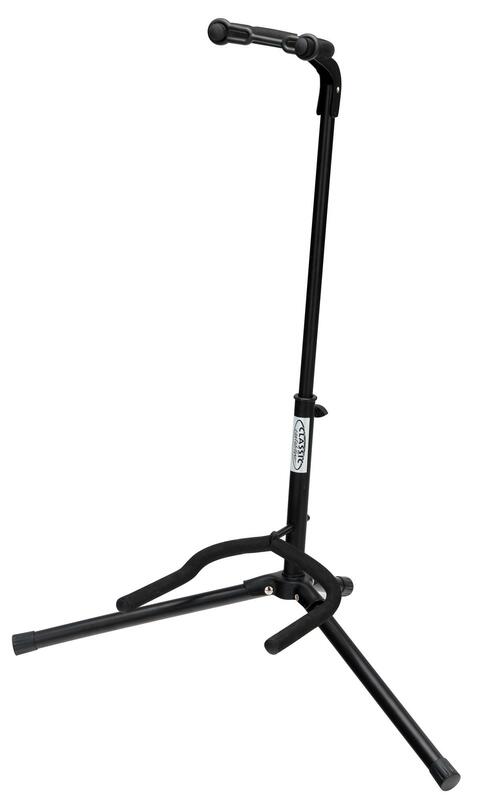 With its latching, foldable stand legs, this is the perfect stand for your instrument. 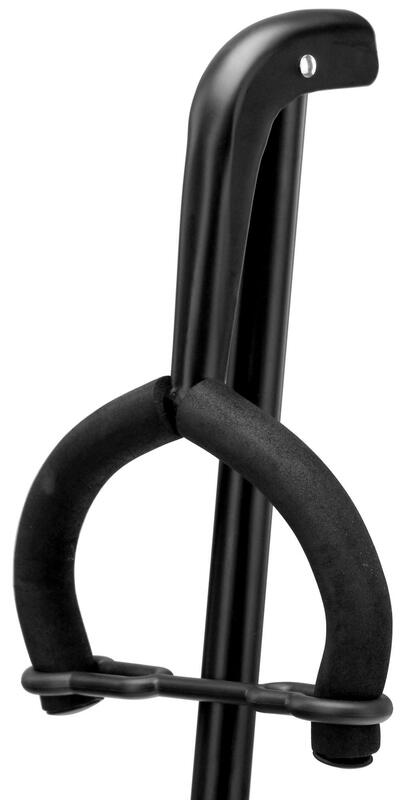 It can be folded in a matter of seconds and stored away in small corners or behind closets. 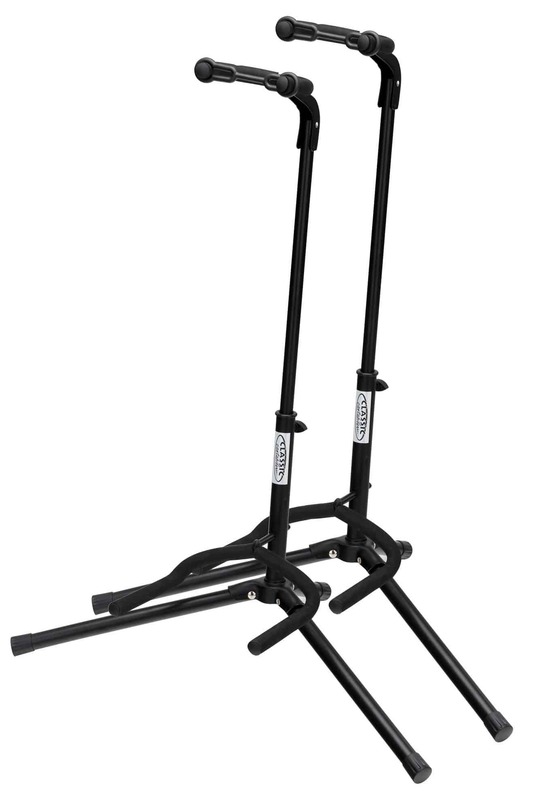 It is also not a problem to bring it with you to your next gig – it is lightweight and compact. 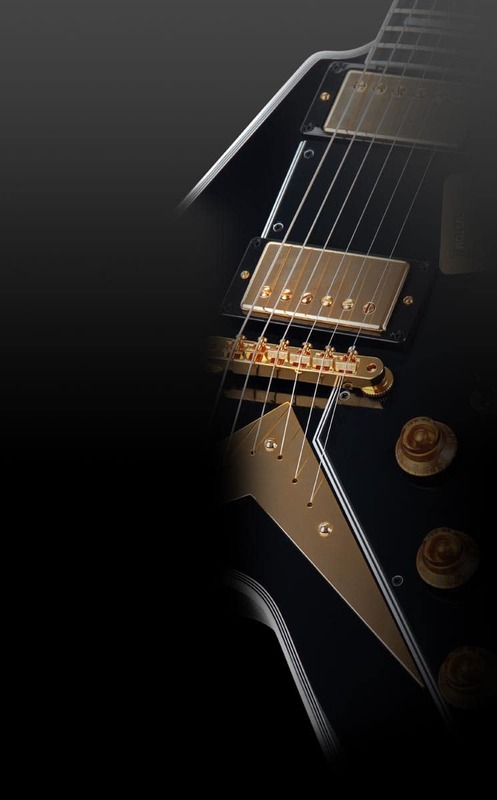 A must-have for every guitarist! 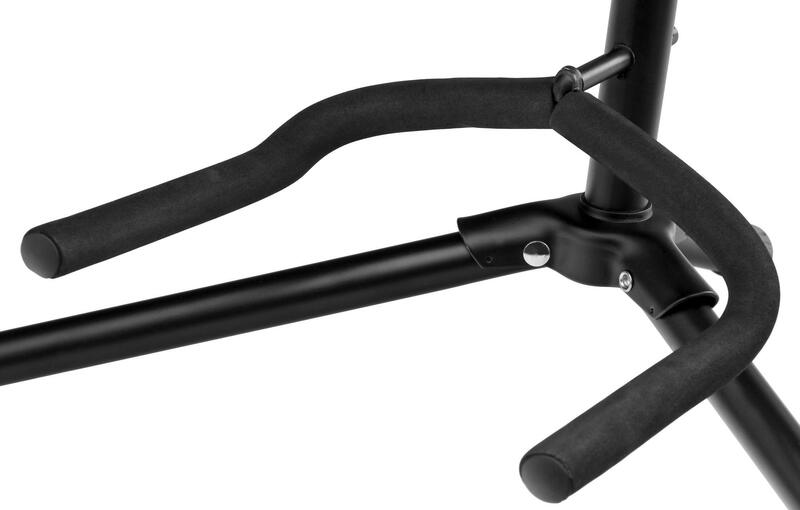 And for an absolutely incredible price!